My friend invited me to watch him perform “Kyogen” in Shibuya Today. It was my first experience, seated in a perfectly constructed Nogakudo deep in Cerulean Tower’s basement (B-2, five minutes walk from Shibuya Station), to spend an extended time in awe of the art form known as Noh. Here is the place, just in case….There might be something happening today! You could call the concierge at the hotel to ask in English. 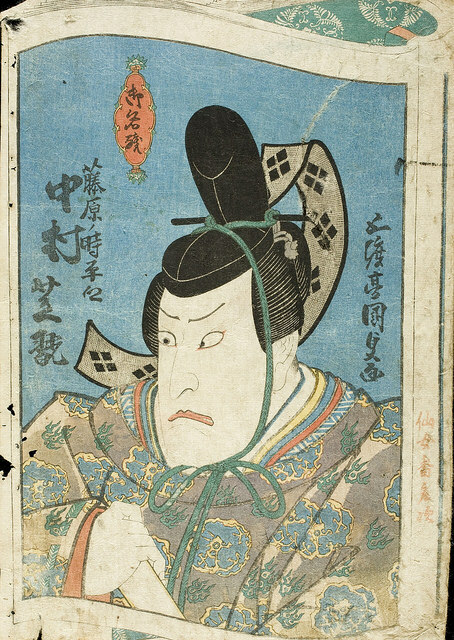 Although deeply connected to Noh, Kyogen is usually based on comical real-life situations that can poke fun at authority. During the war years in Japan, some Kyogen was outlawed because of how it appeared to “disrespect” country leaders in this turbulent time. Today’s performance was called Hagi Daimyo. Hagi is a beautiful Bush Clover that can be seen in large Japanese gardens and Daimyo is a Japanese Feudal Lord. A Daimyo from the countryside is called to Kyoto for some type of legal proceeding and has to stay far away from home for quite a while. Finally, the issue is resolved and the somewhat dull Daimyo is now free to return home. Before that, as many of us would, he decides he wants to play, take a break, relax and then head home. Sound familiar? Reminds me of "The Importance of Being Earnest"
His able personal assistant or maybe better described as butler, “Meshitsukai” (in Japanese), suggests going to “Hanami” or to watch the beautiful blooming Hagi flowers at a garden in Higashiyama. He adds that the Lady of the house where the Daimyo will enjoy the view, loves “Waka” Japanese poetic songs. The Daimyo’s butler seems to feel their host will ask for a special Waka performance in return for enjoying the lovely garden view. 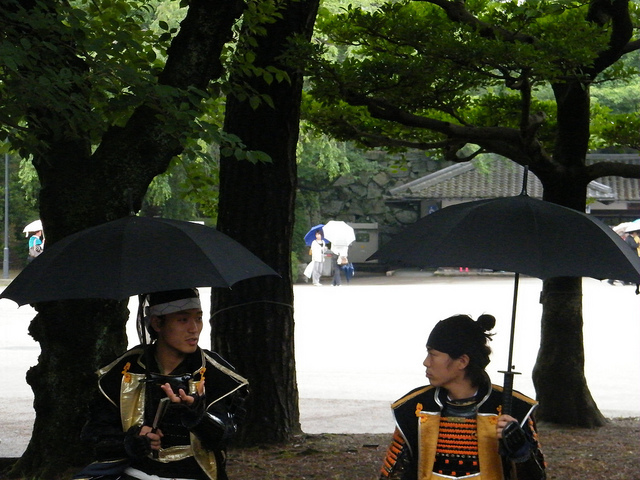 The Daimyo immediately agrees to try and memorize a special Waka poem for their host. After a super crash course in Waka, the Daimyo and his PA are on their way. 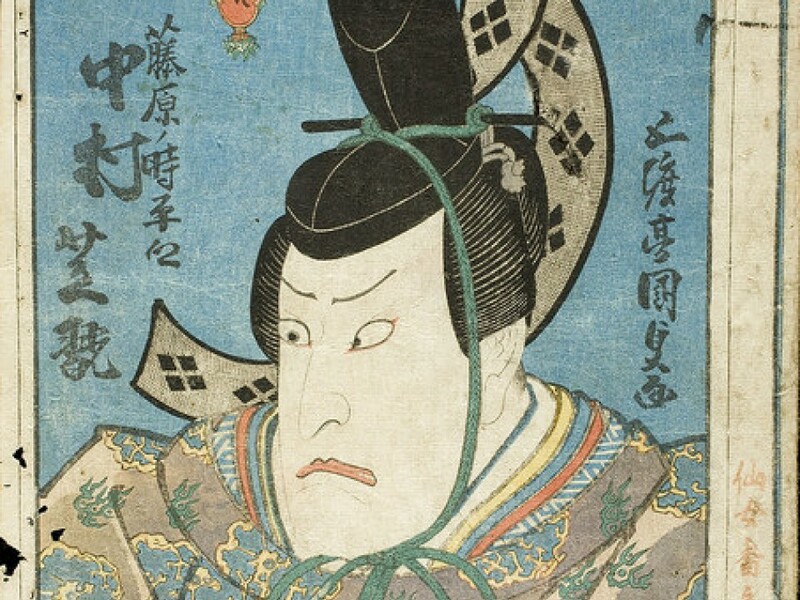 We come to the scene where the Daimyo is experiencing deep surprise and awe about various aspects of the garden. He notices sand at the front of the garden and makes a mistake in wording to describe it as poor-man’s sand and he says the red flowers on the white sand make the garden look like seki-han or a red rice common to many homes in Japan…somewhat of a faux pas in front of the proud owner of the garden. It is a funny string of play-on-words jokes and even if you didn't understand the Japanese, the facial expressions and antics of the players get the message across loud and clear. The guttural, very strong voices of the performers, the nuance and lilt in the lines recited in song-like traditional Japanese kept me on the edge of my seat waiting to see what would fall out of the dimwit Daimyo’s mouth next. 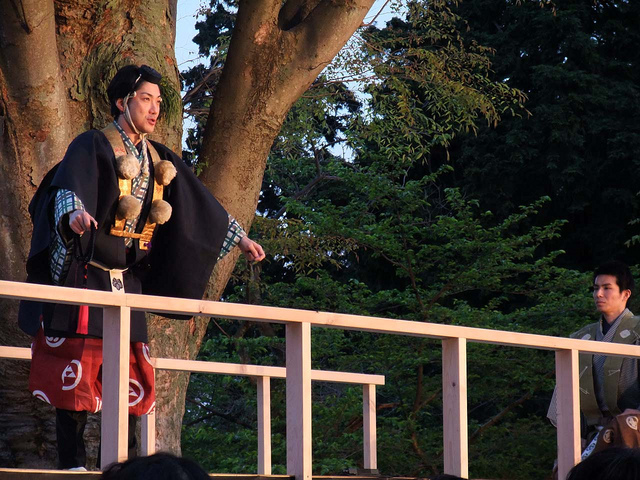 I never imagined that a traditional Japanese play would be so funny. I also loved the strong voices and how the actors move around the stage in diagonals and lines with perfectly angled hand motions and tilting of the head. Now we are at the moment when the owner of the garden requests a Waka recital from the Daimyo. Clearly bereft of expansive memory capacity, the Daimyo forgets his Waka as soon as he is asked to recite and his butler steps in by writing the words of the poem inside his fan to prompt the Daimyo’s weak memory. After several misreads and blunders by the Daimyo, the butler is fed up and actually leaves the stage. The Daimyo finishes, looks to his right, and realizes the next prompt and his right hand man are nowhere to be seen! He stops mid-sentence, stands up and tries to end the poem with a curt “And that's how the story goes, that's all Folks!” The scene ends with the lady of the house chasing him down, grabbing his sleeve and eagerly inquiring, “What happens next?” and demanding he stay to finish the story. I was immediately reminded of “The Importance of Being Earnest” with its clever and very comical play on words. I love the intelligence and purity in this type of humor and it was such a wonderful surprise to discover delightful fun in a very traditional Japanese art form. The performances happen often just 10 minutes walk from Shibuya station and the one I attended today was actually free of charge. I encourage anyone in the area to stop by the hotel and ask the concierge if there is any Noh performance on. 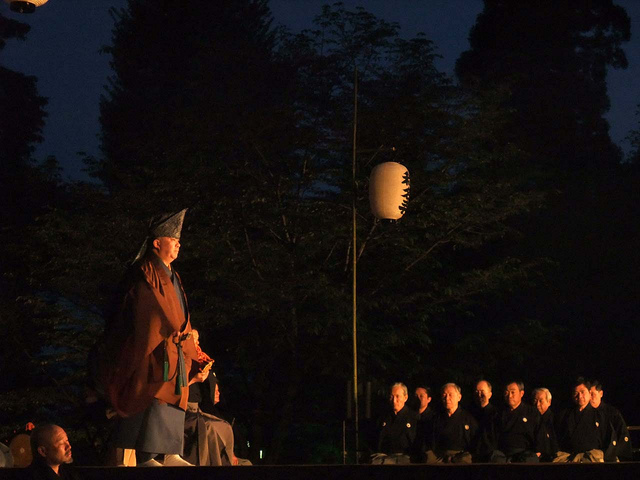 If it is Kyogen you will laugh, if it is Noh you will be inspired. Either way, whether you understand the language or not, the beauty and joy in the experience will be a memory of Japan you’ll not easily forget.